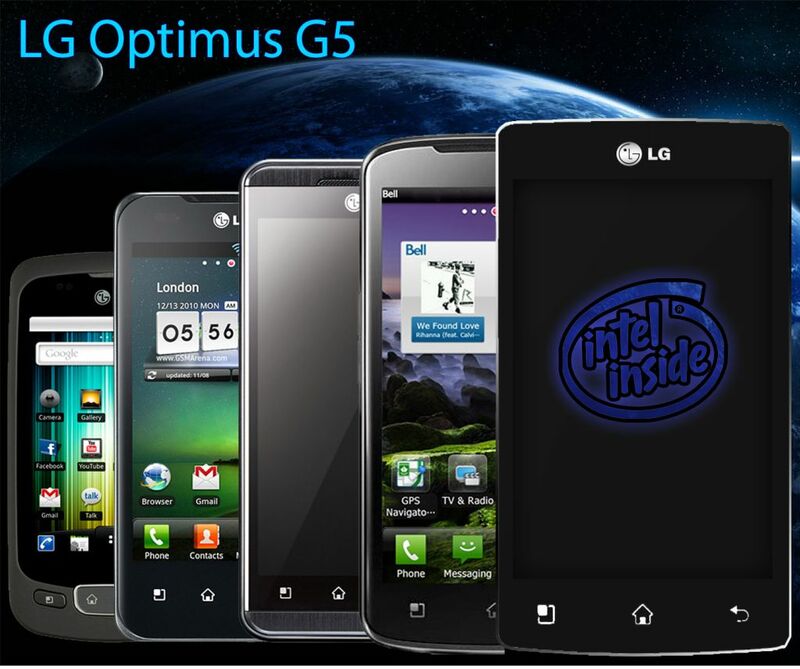 The LG Optimus phone series has just reached Generation Five, courtesy of a concept made by Bob Freking. This smartphone uses a Intel Medfield chip, that supposedly provides 24 hours of battery life courtesy of a single 1500 mAh power source, so that’s very efficient power consumption, if you ask me. LG Optimus 5 features a 4.5 inch IPS Display with 720p HD resolution and a chassis that’s a mere 7mm in thickness. The Intel Medfield processor is supposed to beat the Snapdragon dual core units and TI OMAP even in its single core iteration. However, this CPU used here is the dual core Medfield and it appears you can adjust the clockrate of the SoC up to 1.5GHz. This LG concept phone supports 4G connectivity, features a 3D display and also incorporates two 8 megapixel cameras with support for 3D capture. Two 2 megapixel cameras are present at the front, most likely providing 3D videocalling. The OS of choice is Android 4.0 Ice Cream Sandwich predictably enough, with a customized LG UI. LG Optimus 5 is promoted by Bob Freking as a device that will be unveiled at CES 2012 and it will save LG and all other companies from battery loss.